So it’s the start of a new year and we’re all getting back into routine and back to work after a well-deserved break. I certainly enjoyed my break and was fortunate enough to go on an amazing holiday. My December/January holiday involved travelling through Europe. I did some exciting sightseeing (I love the hop on- hop off busses), experienced a cold winter Christmas for this very first time and of course ate some delicious food. Before leaving home, I did some research while still planning my trip. My benedict – like me – is also quite a fan of both food and travel. 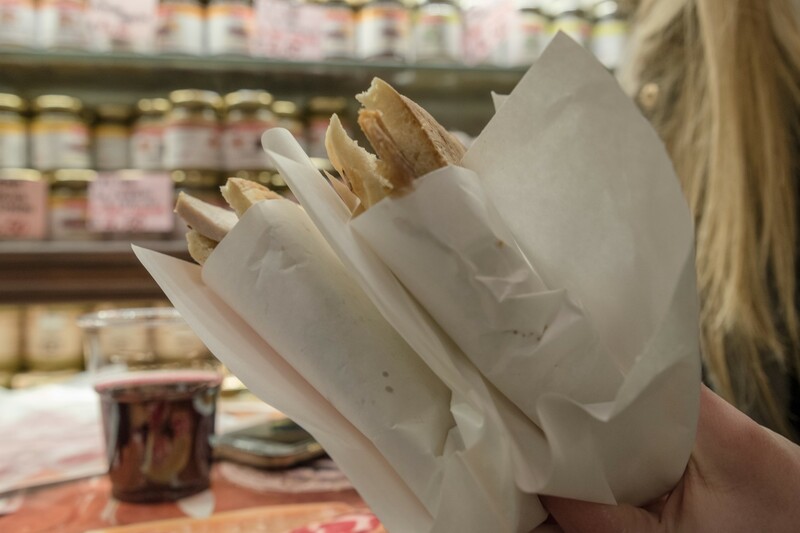 Wherever we travelled, we always attempted to eat something that is traditional and local. 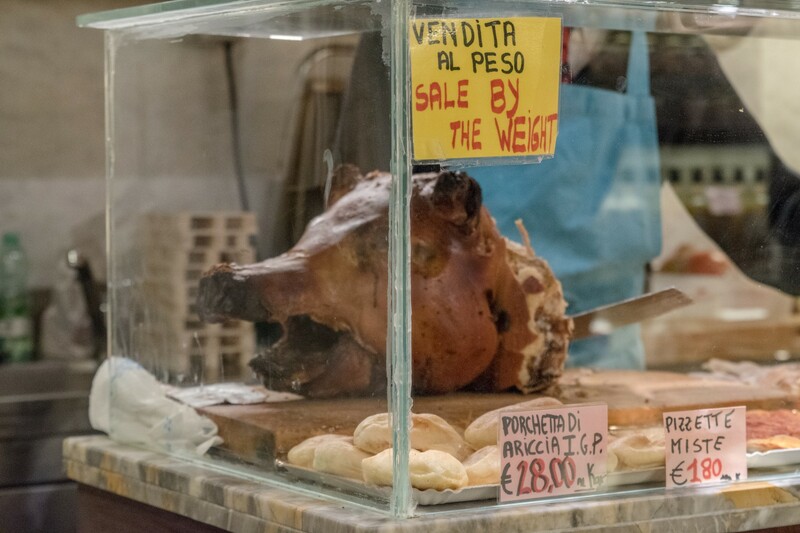 One of the Italian local cuisines that came up in multiple YouTube clips, was something called porchetta. Porchetta is typically slow roasted pork (roasted really slowly for at least 8 hours) that has been abundantly stuffed with salt, herbs and garlic. It’s very popular in Rome and after tasting it for myself, it’s not difficult to understand why. 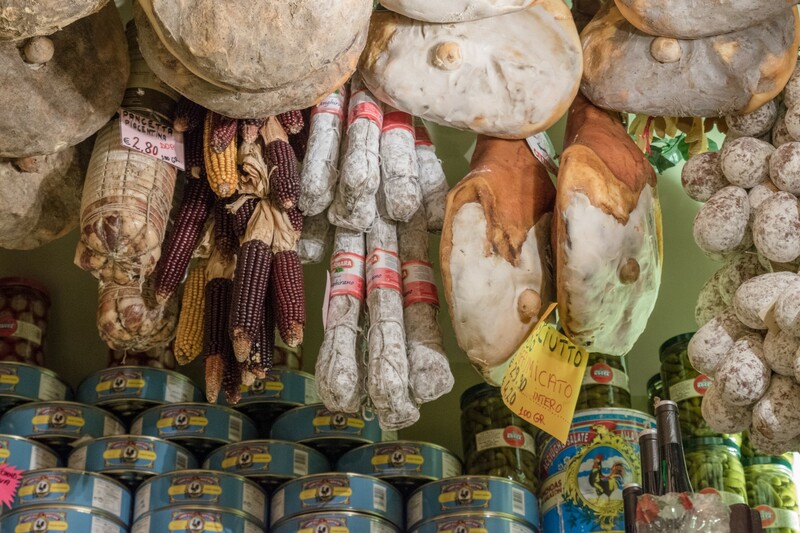 While touring the gorgeous city of Rome and visiting The Pantheon, I noticed a quaint little butchery nearby, Antica Salumeria. 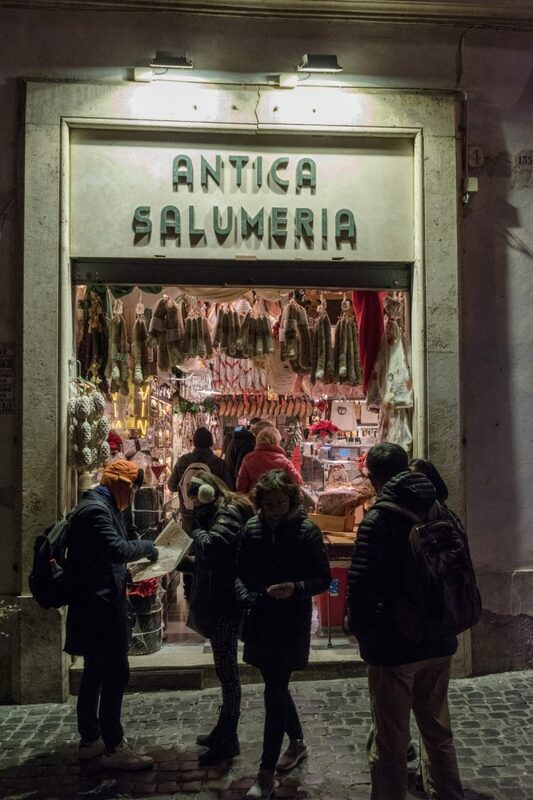 We couldn’t help but notice all the hanging meat and the amazing smell exuding from Antica Salumeria. 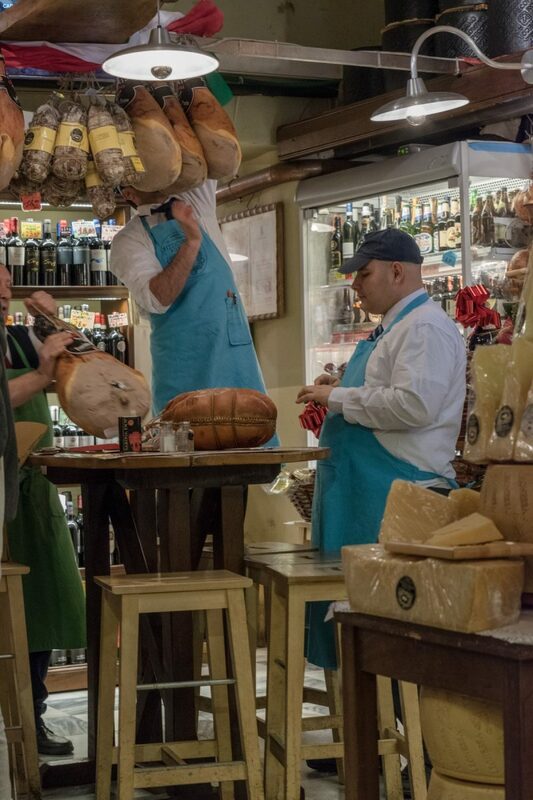 Antica Salumeria was buzzing with people, including some local policemen and street workers. And you know what they say; when in Rome… do as the Romans ;-) So we decided to pop in for some porchetta and wine. We asked for a traditional porchetta sandwich. 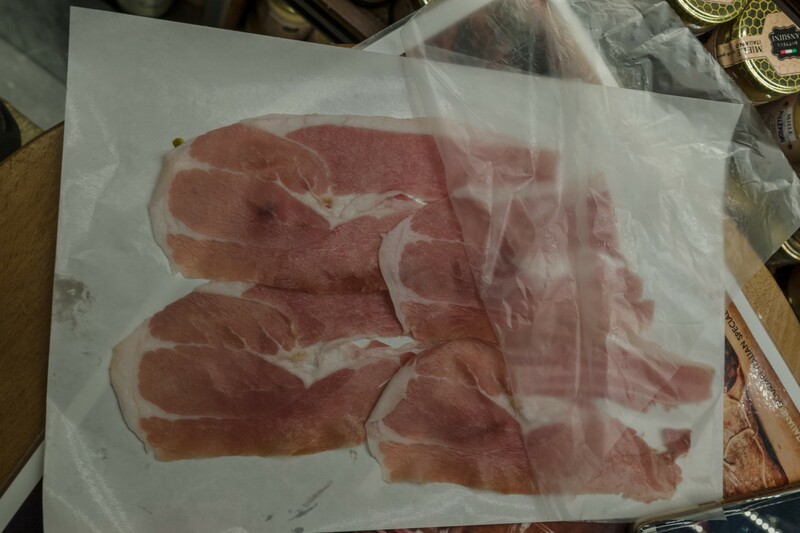 The pork was sliced and weighed in front of us before being placed between two slices of pizza bianco. Pizza bianco is traditional plain white Italian bread with garlic and course salt that has been made in a pizza oven. 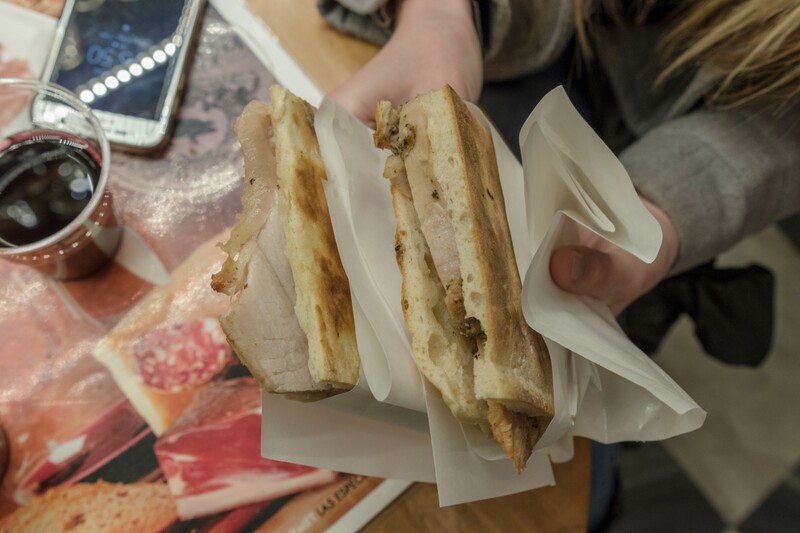 This porchetta sandwich was without a doubt one of the most memorable and tastiest meals that I ate during my three week trip throughout Europe. It was absolutely delicious. I had no idea such a simple dish – effectively just a sandwich – could be THAT good! We also enjoyed some wine and Parma ham at Antica Salumeria.